Don Coles, the Canadian poet and teacher who died on Nov. 29 at the age of 90, didn’t begin publishing until he was 47. That was typical for the poet, who worked slowly and deliberately, taking great pains to ensure adherence to Jonathan Swift’s formula for good writing: proper words in proper places. It seems obvious to me now that a poem that’s accessible, that can reach readers who don’t absolutely have to have triple PhDs and an acquaintance with Middle English or Early Provencal, does not have to be shallow or superficial or simpleminded. It doesn’t have to be doggerel. But I think I needed to be told that, God knows why. Or not so much told as shown. And Larkin’s poetry was accessible but it also had obviously emerged out of enormous craft – pressure; its sophistication was second to nobody’s; its skill level was, well its gift was in my opinion so unmistakably richer than Eliot’s. Coles took these lessons to heart in his own work, which was equally at home addressing the over-inflated rhetoric accompanying a high-school yearbook photo (“Yearbook”), a woman’s legs seen through the reflection of a car’s windshield (“Driving in the Car with Her”), or the muted tranquility of a Zamboni gliding over the ice in a hockey rink (“Kingdom”). 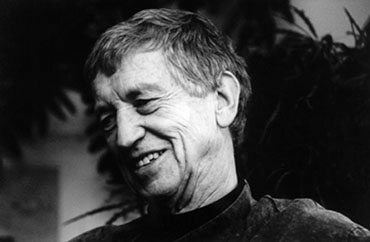 For his trouble, Coles was awarded a 1993 Governor General’s Literary Award for his collection Forests of the Medieval World and the 2000 Trillium Book Award for the collection Kurgan. A noted recluse who would not give public readings, Coles did appear at book events, as Richard Sanger points out in his Walrus magazine tribute, “never to promote himself but to support you, if he judged it important.” He was endlessly encouraging of younger writers and poets; his care and dedication won him many acolytes and adherents. Below, two Canadian poets – Gary Barwin and Micheline Maylor – reflect on Coles’s legacy and his importance. He was such a thoughtful, lovely man and a breathtakingly sensitive – and slyly witty – poet. As a person, Coles had such grace and gentility to him, such decency and menschlichkeit. Though I never formally studied with him while I was a student at York University, his presence was large, and he still managed to encourage me and look in on me from afar over the years, and I know I was far from the only one. Unlike many poets active during his later years, his work often looked to a broad and deep body of knowledge, often European, yet rather than being patronizing to our Canadian experience, he brought it into conversation illuminating and deepening our Canadian lives with perspicacity, incision, and humility. Our experience, our small moments, our lives lived in a particular place and time, were things of value to which he brought deep feeling and great insight. He spoke to many, not because they necessarily shared his experience, but because his work radiated empathy and a perfect just-so-ness of craft and expression. If one could speak with such felicity, write with such precision, observe with such great clarity, unpack such worlds of feeling and thought, somehow we could go on – with hope, inspiration, curiosity, and compassion. The power of a legendary literary voice is one of transcendence, gestalt – one that reaches through time and space to awaken a reader out of the mundane. Don Coles’s work did this. My introduction to Coles was “Driving in the Car with Her,” with its fragmentary and interjected appreciations. The imagery of those legs! I was in love with such elegance. Or “Kurgan”: the understated meander through the raided tomb, where I too couldn’t stand the thought of the mice. Coles’s work was like that – like moving through an unknown archaeology, unearthing another time. He constructed the most airy and complex metaphors in poems like “My Death as the Wren Library” or “Little Bird.” He was unique in claims of his Canadianness (“Eaton’s, God Rot Them”) in a way that claimed not just the landscape but the internal space of the human condition with a casual sophistication as yet unparalleled. I had a ritual, whenever I was at the Banff Centre, of posting “In the Dream of My Grandmother’s Tree” on my door. I was hoping the wind, which so often visits in a Coles poem, would come and reveal the secrets of such kingly whispering. It always seemed to me that two worlds murmured to each other in his poems – somewhere familiar and some other place you could never be. Maybe another life passed up, or maybe another reality where the rules were different, a bit whacked, but beautiful all the same. Coles’s voice reached me and pulled me out of the normal, into the extraordinary. I think of him now, reacting to what I’ve written here. I think he would not be pleased, nor displeased, just amused somehow. Then he would turn toward some other wind-visited thing, uninhabited and otherworldly.